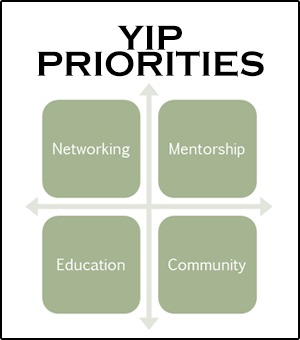 The Cambridge Young Innovative Professionals (YIP's) strives to attract a diverse membership. Each of our YIP events will provide an opportunity for individuals to become a member for a fee. All program events will focus on Education, Mentorship, Building Relationships through networking and Community. What’s in it for you and your employer? Need to Speak to someone for more information? Reach out to the Leadership Advisory Committee.